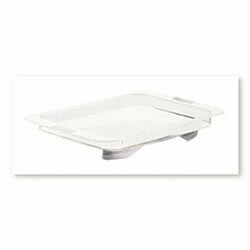 Acrylic tray has molded cleats to sit on the seat of the Jazz walker. Tall side walls will contain spills. Easy to remove and carry your belongings or food and beverages. Clear.